Woman stabs boyfriend after running out of beer in Vero Beach. 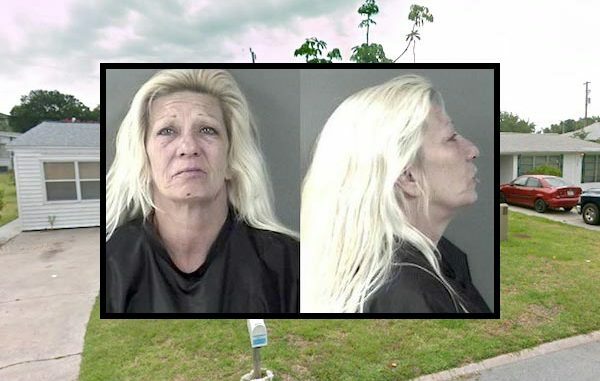 VERO BEACH – A 46-year-old Vero Beach woman was arrested after she stabbed her boyfriend after he allegedly poured out all of her beer down the drain, according to her statement to deputies. Deputies from the Indian River County Sheriff’s Office found the victim, Douglas Emmons, standing outside his home with a bloody knife. He was bleeding from his left arm, and law enforcement observed a large blood stain on his shorts. The suspect, Melanie Kaye Wright, had two cuts on her left hand. Both the victim and the defendant were transported to the Indian River Medical Center. Douglas, who had a large bandage on his upper arm because the cut hit an artery, told deputies that his girlfriend arrived home and was drunk. They argued for two hours on whether they paid the electric bill. Melanie grabbed the phone and allegedly began striking her boyfriend on the forehead with it. Douglas said she hit him four or five times. Deputies found a lump on Douglas’ head, consistent with being struck. When Melanie realized that they were out of alcohol, she became angry and responded by pouring milk and other beverages down the sink. Douglas also stated that it was “his belief that the victim intentionally urinated on the kitchen floor,” the report said. Soon after, Melanie hit Douglas and realized she was holding a knife and found his left arm bleeding. He wrestled the knife from her and went outside to call the police. Deputies then made contact with Melanie to get her side of the story. She was very intoxicated and spoke with a slurred speech, the report said. Melanie said she arrived home after drinking and her boyfriend was upset. They began to argue, and that led to a physical altercation where he allegedly struck her lip, causing a small cut. She said Douglas poured all of her beer down the sink, and that only got her more upset. Malanie then poured out all of his milk and other beverages. When deputies asked her about the knife, she only remembered holding a bread knife. Melanie said she didn’t remember anything else about the knife. Douglas said Melanie injured her chin when she tripped over something. He denied striking her. After retrieving a search warrant, detectives visited the home and found blood patterns that were consistent with the victim’s story. The patterns showed that the victim was attacked with a knife in the location he described. Melanie was arrested and transported to the Indian River County Jail where she was charged with felony attempted murder. Bond set at $50,000.